We are very honored that people have recognized this site and deemed it worthy of an award. We have included a description of the award, when it was awarded, quotes from the award letter, and a link to the page that have given us an award. 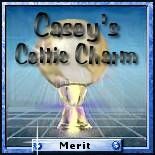 Casey's Celtic Charm - Merit was bestowed on this site on February 09, 2002. This award is awarded for excellence in website design. "Your effort and dedication shine throughout your pages. You are most deserving of many accolades, and for making the World Wide Web a much better and nicer place for us all." 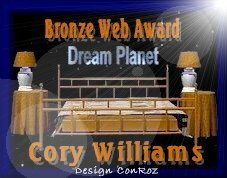 The DreamPlanet Bronze Web Award was awarded to this site on February 10, 2002. The award was bestowed for excellence in webpage design. "Thank you for allowing me the opportunity to review your site." 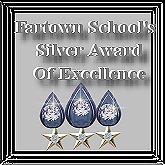 The Fartown School Silver Award of Excellence was awarded to this site on February 08, 2002. It was bestowed upon us for excellence in website design. "We have visited The Unofficial Joel Prpic Website several times and found it to be a well maintained and interesting site. The site is very well designed and is easy on the eye and navigation of the site is excellent. You have a truly superb site!" 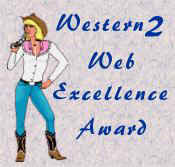 The Western2 Web Excellence Award was bestowed on this site on February 13, 2002. This award is awarded for sites that demonstrate quality and truly deserve to be recognized for their efforts. The Great Northern Website Award was awarded to this site on February 10, 2002. It was bestowed on this site for excellence in website design. "I have enjoyed my visit to your homepage very much, a pleasant oasis on the internet desert. Congratulations on a beautiful homepage and keep up the good work." 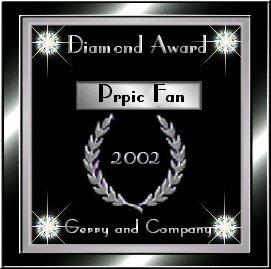 Gerry and Company's 2002 Diamond Award was bestowed upon this site on February 10, 2002. It was awarded for excellence in website design. "Great website! Everything so "put together". Simple,yet presented with much class. Easy to navigate and very informative. I am very happy to send you my award. Keep up the great work you are doing!" Click here to return to The Unofficial Joel Prpic website. If you know of an award that you think this website would qualify for then please e-mail us.